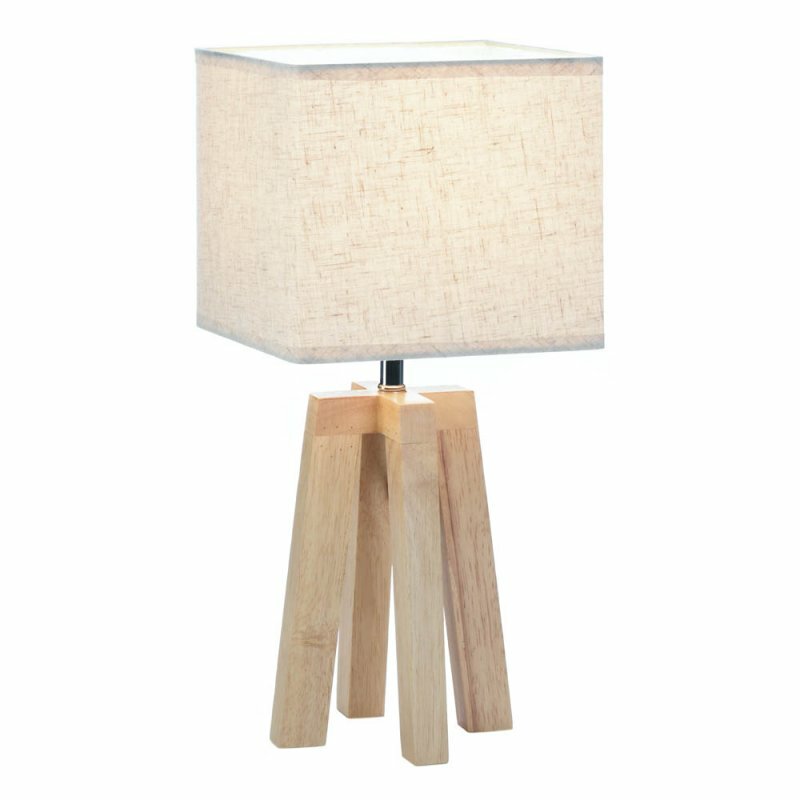 A little light and a lot of modern charm, this geometric wooden table lamp will steal the show in your bedroom, living room, or on top of your desk. It features natural wood legs and a square linen shade. 40 watt bulb not included.